This is my daycare kids’ favorite breakfast! Mix the sugar with the cinnamon. Sprinkle mixture on warm, buttered toast. Serve with sliced bananas. Anything I make that has peanut butter in it is popular with the kids! Spread each tortilla with peanut butter. Peel bananas and place near edge of the tortilla. Roll up banana in the tortilla. Prepare sausage according to package directions and slice links into 1/4″ coins or use diced ham. Separate crescent rolls and arrange on a 12 x 18″ pan. Press together to create a crust to cover the entire bottom of the pan. 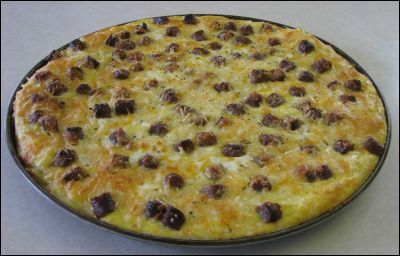 Top with shredded potatoes, sausage coins or diced ham and cheddar cheese. Combine eggs, milk and spices. Pour over cheese layer and top with Parmesan cheese. Bake at 375 degrees for 35-40 minutes or until eggs are set. I hear lots of cheering when I announce I’m baking banana bread for breakfast. I usually bake my in mini loaves. You can freeze them for a couple of weeks to a month to eat later, but I never have enough left to do that. 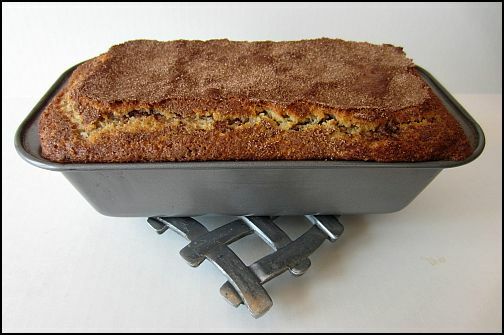 Pour batter into a greased bread pan. Bake at 350 degrees for 45 minutes. or: Pour batter into 8 individual-sized bread pans. Bake at 350 degrees for 20 minutes. Even a kid who doesn’t like zucchini will eat this bread. Beat together the eggs, vegetable oil and sugars. Add the rest of the dry ingredients. Stir in the zucchini and the walnuts if desired. Bake at 325 degrees for 1 hour and 15 minutes. Cool in the pan for 20 minutes before slicing. Combine dry ingredients. Add milk, egg and oil. Mix until smooth. Cook on a preheated griddle. Note: For buttermilk pancakes, add 4 tablespoons of buttermilk powder that is available in the baking section of the grocery store. Start with 1-1/2 to 2 tablespoons of graham cracker crumbs in the bottom of a clear plastic cup. 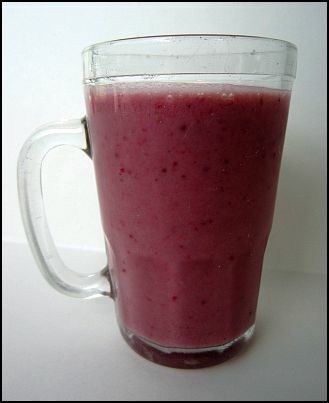 Place a layer of yogurt, then a layer of mixed fruit, another layer of yogurt and top with fruit. I taste-tested this recipe with my daycare kids. It was a big hit with everyone! Melt butter on a skillet. Mix eggs, milk and vanilla in a bowl. Dip bread in egg mixture and place on skillet. 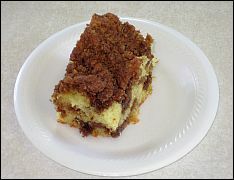 Brown both sides of french toast. 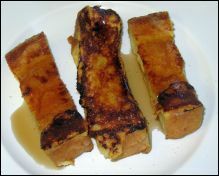 Sprinkle finished french toast with cinnamon and sugar. 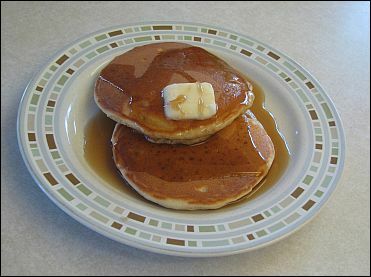 Serve with syrup. The first time I served this, the kids were afraid I was going to make them drink coffee. Once they figured out that wasn’t the case, they loved the cake. In a medium bowl, mix the first four ingredients and set aside. Preheat oven to 350 degrees. Mix the cake mix according to package directions. Pour half the cake mix into a greased 13 x 9″ pan. Sprinkle half of the cracker mixture over the top. Carefully pour and spread the second half of the cake batter in the pan. Top with remaining cracker mixture. Bake at 350 degrees for 40 minutes or until a toothpick comes out clean. Sprinkle with powdered sugar. This is a super good, super easy recipe that works well for daycare kids regardless of age and also works well for kids who need to eat before taking off to school. 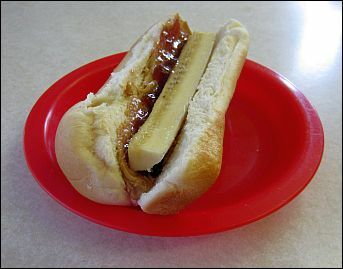 Spread a thin layer of peanut and jam onto the hot dog bun. Place a quartered banana into the bun. Cut into appropriate sections for each child. For smaller children, cut off a small section and squish it down to make for easier handling. 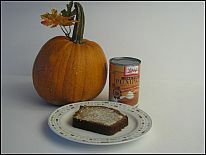 One of the little boys in my daycare kept begging me to make pumpkin bread. When I finally did, it was a big hit with all the kids! Preheat oven to 350 degrees. 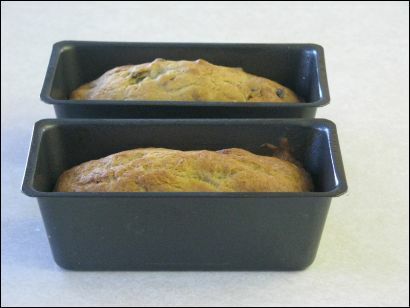 Prepare two bread pans by spraying with cooking spray. Put all ingredients in a large bowl and mix well with an electric mixer. Divide the batter between the two prepared bread pans. Bake for one hour or until an inserted knife comes out clean. My kids liked this bread better after it was cooled rather than warm out of the oven. 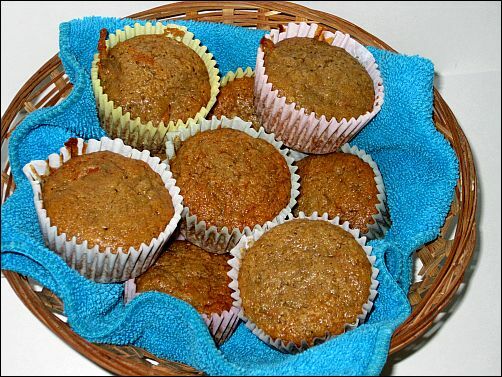 The kids were a little leery trying these muffins for me when they saw me put carrots in them. It didn’t matter, though. They were a big hit with every single kid at breakfast that morning. I do have to warn you though, it takes a lot of dishes to make this recipe. Mix the seven dry ingredients in the left-hand column in a bowl. Set aside. In another bowl, beat the egg yolks until they are light in color. Beat in the honey and orange peel. Gently stir in the bananas, carrots and applesauce. Gently stir this mixture into the dry ingredients, just until moist. In another bowl, beat egg whites on high speed until stiff. Gently stir this mixture until your batter, a little at a time. Fill muffin cups two-thirds full with batter. Bake for 17 – 19 minutes or until a toothpick comes out clean. Let cool. 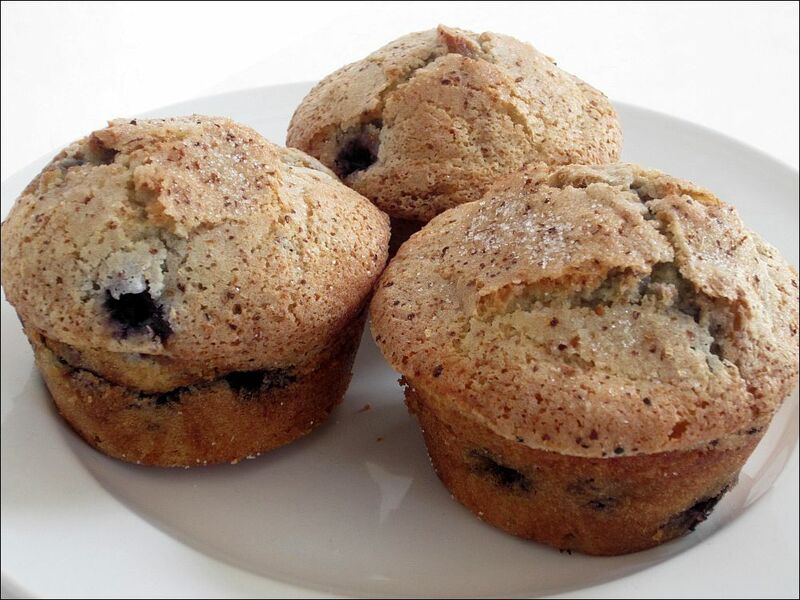 I do believe these are the best homemade blueberry muffins I’ve ever had! Combine flour, sugar, baking powder and salt. Cut butter into dry ingredients. Dig a hole in the center of this mixture. In a separate small bowl, combine eggs and milk. Pour this mixture into the center of the dry ingredients. Stir until just moistened. Fold in orange peel and blueberries. Fill muffin cups 2/3 full of batter. Prepare topping and sprinkle on muffin batter. Bake for 25 – 30 minutes or until toothpick comes out clean. In my daycare, we enjoy smoothies for breakfast or for snack. There are so many different ingredients you can put in to make them taste yummy, but this is one of our favorite combinations. Place all ingredients in a blender and mix for just a minute. This smoothie recipe was discovered on Make Dinner Easy. Check out the website for great recipes. Crystal provides weekly menus for your family cooking that include grocery lists! I call this “not so quick” because after you bake it, you have to leave it sit overnight before slicing and eating it. It’s worth it though! Preheat oven to 350 degrees. Grease a 9×5 bread pan with butter. Mix the 1/3 cup white sugar with 2 teaspoons cinnamon. Set aside. In a large bowl, mix together the flour, baking powder, salt and sugar. In a separate bowl, combine the egg, milk and oil. Add the two mixtures together and stir just until moistened. 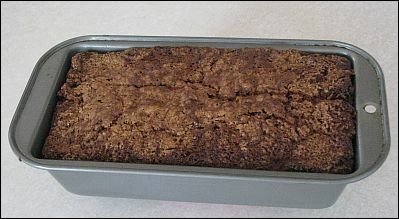 Pour 1/3 of the batter into the loaf pan. Sprinkle generously with the cinnamon sugar mixture. Repeat this process two more times. Bake in the oven for 45 – 50 minutes. Test with a toothpick to check if it’s done. Let cool for 10 minutes and then remove bread from pan. Let cool completely. Then wrap in foil and store overnight.